Arizona Execution Of Inmate Takes Nearly 2 Hours : The Two-Way Officials who were attempting to put inmate Joseph Wood to death instead watched him gasp and snort for more than an hour, Wood's attorney says. Gov. Jan Brewer has ordered a review of the process. Another U.S. execution has gone awry, as Arizona officials who were attempting to put inmate Joseph Rudolph Wood to death today instead watched him gasp and snort for more than an hour after the mix of lethal injection drugs was administered, Wood's attorney says. Nearly two hours after the execution began at 1:52 p.m. local time Wednesday, Wood was pronounced dead at 3:49 p.m.
"Joe Wood is dead, but it took him two hours to die," said Troy Hayden of KSAZ-TV in Phoenix, who served as a witness. "And to watch a man lay there for an hour and 40 minutes gulping air, I can liken it to, if you catch a fish and throw it on the shore, the way the fish opens and closes its mouth." The problems led Wood's federal public defender, Jon Sands, to file an emergency motion to stay the execution on the grounds that it violated his client's constitutional rights. Sands' motion called for reviving Woods, but the inmate died within an hour of the papers being filed. "The Arizona Department of Corrections began the execution of Joseph Rudolph Wood III at 1:52 p.m. At 1:57 p.m ADC reported that Mr. Wood was sedated, but at 2:02 he began to breathe. At 2:03 his mouth moved. Mr. Wood has continued to breathe since that time. He has been gasping and snorting for more than an hour. At 3:02 p.m. At that time, staff rechecked for sedation. He is still alive. This execution has violated Mr. Wood's Eighth Amendment right to be executed in the absence of cruel and unusual punishment." "One thing is certain, however, inmate Wood died in a lawful manner and by eyewitness and medical accounts he did not suffer. This is in stark comparison to the gruesome, vicious suffering that he inflicted on his two victims — and the lifetime of suffering he has caused their family." 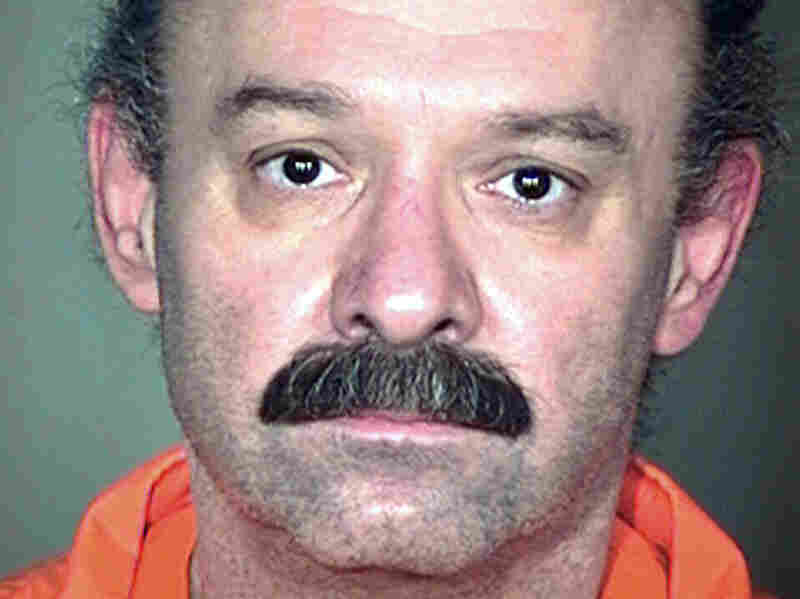 On All Things Considered Wednesday night, NPR's Robert Siegel spoke with Tucson News Now reporter Mauricio Marin, who had witnessed the execution. He says he counted Wood gulping hundreds of times before he died. Looking around, he says "there appeared to be some concern from prison officials." He says medical staff came in to check on Wood at least four times, checking his heart rate and look at his eyes. Marin says he also saw Wood's attorney sending out a staff member to try to stop the execution partway through. In announcing Wood's death, Arizona Attorney General Tom Horne did not comment on the nearly two-hour time frame. Instead, he noted that Wood had been sentenced to death in July of 1992 for shooting and killing his estranged girlfriend, Debra Dietz, and her father, Eugene Dietz, at their family's auto shop. Members of the Dietz family were in attendance in Arizona today. Jeane Brown, Debra Dietz's sister, said that Wood's execution "was nothing." "You don't know what excruciating is — seeing your dad lying there in a pool of blood. ... This man deserved it," Brown told the Arizona Republic. "And I shouldn't call him a man. He deserved everything he had coming to him." "The experiment using midazolam combined with hydromorphone to carry out an execution failed today in Arizona. It took Joseph Wood two hours to die, and he gasped and struggled to breath for about an hour and forty minutes. We will renew our efforts to get information about the manufacturer of drugs as well as how Arizona came up with the experimental formula of drugs it used today." As we've reported in the past, executions in Ohio and Oklahoma have been widely criticized for using a new mixture of drugs that are being blamed for being less effective than the traditional drug that is now under a shortage in the U.S. In the Oklahoma case, an inmate died more than half an hour after the first of the drugs were administered. Last month, death row inmates in Arizona and Oklahoma sued to stop those states from using combinations of lethal injection drugs that have been blamed for recent problems. They've also sought to require officials to disclose the "cocktail" mixture of the drugs they plan to use. Controversies over execution methods have erupted as states struggle to find suitable alternatives to drugs that are now in short supply. As the Two-Way has reported, "Legal pressures and concerns from European manufacturers have made traditional execution drugs unavailable to states. That has caused states to scramble — some say experiment — and try out new drug combinations." As The Los Angeles Times reports, "Wood, 55, was sentenced to death in 1991 for the August 1989 shooting deaths of his estranged girlfriend, Debra Dietz, and her father, Eugene Dietz, in Tucson."